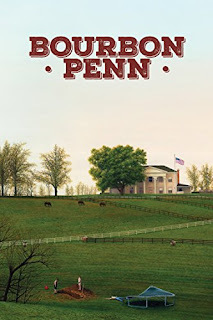 Very pleased to announce I have a new story out now in the latest issue of the marvellous magazine Bourbon Penn. Bourbon Penn's devotion to visionary storytelling continues with issue #14: nonhuman species pursuing questionable agendas provoke two minimum-wage workers into doubting their own humanity … a small town fraught with economic despair, where mothers mysteriously die, drives boyhood pals into an emotional quest for meaning through building their own fortress … a college janitor seeks redemption through confrontation with parallel selves … corporate co-workers take hyper-efficiency into a new brutalism where failure is not an option … a wandering girl and her intended rescuer might've simply run away, or do they wait in cold river mud to reunite with the anguished living? For connoisseurs of the liminal whose appetites exceed the offerings of traditional speculative fiction, follow these explorers of existence into landscapes emotional and mysterious … return with artifacts stranger than love, but hauntingly intimate.